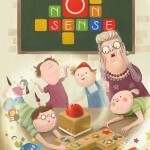 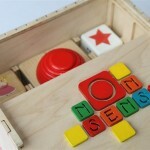 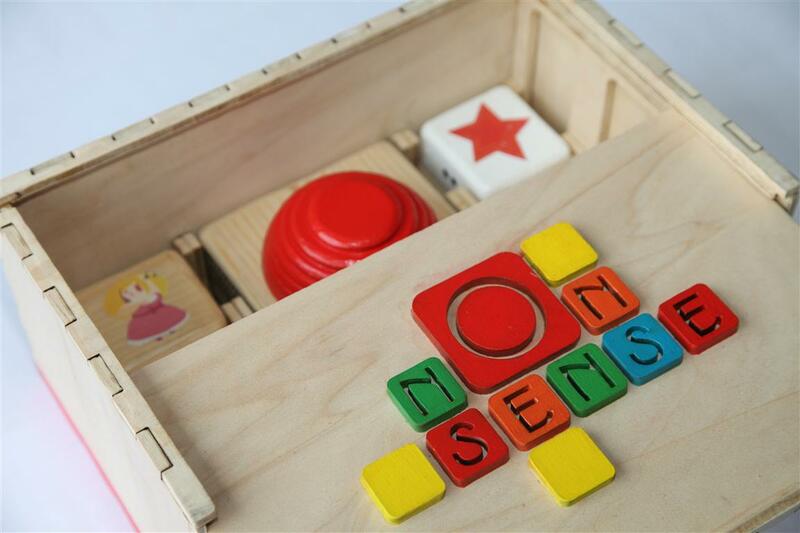 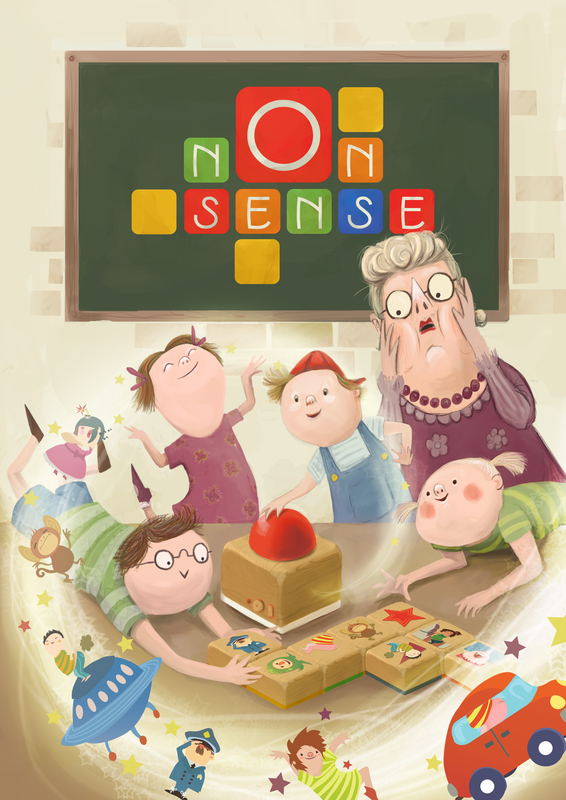 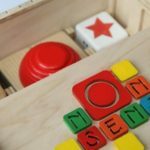 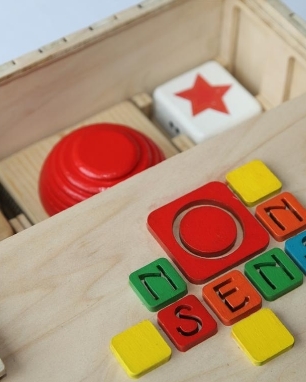 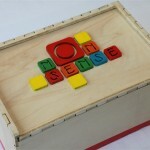 Nonsense is a soundtoy for a group of four six-year-olds. 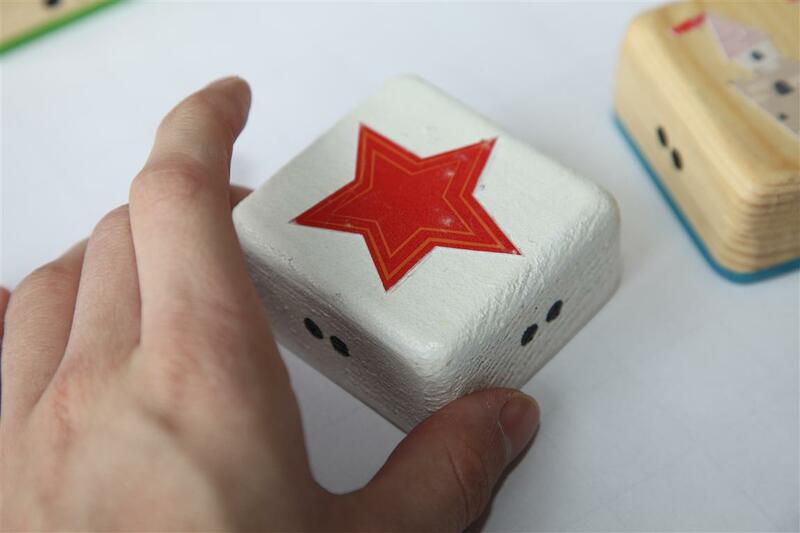 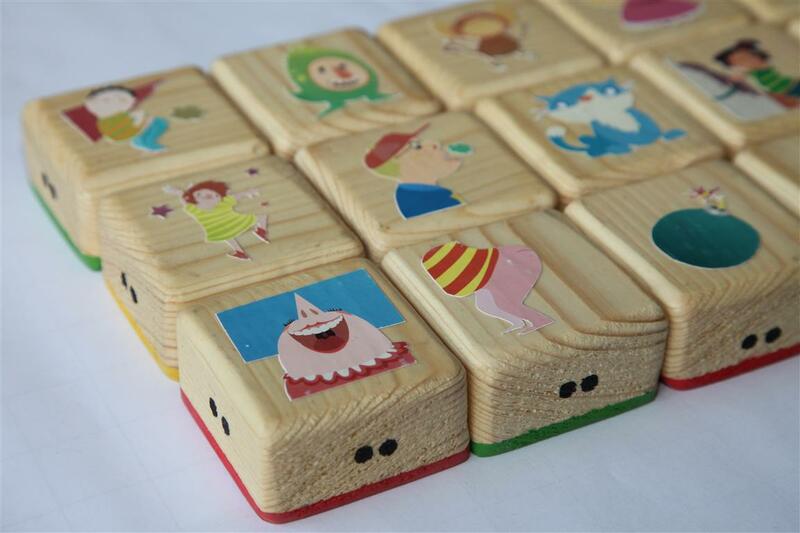 This toy provokes fantasy and construction play, resulting in a fun and interesting experience for these children. 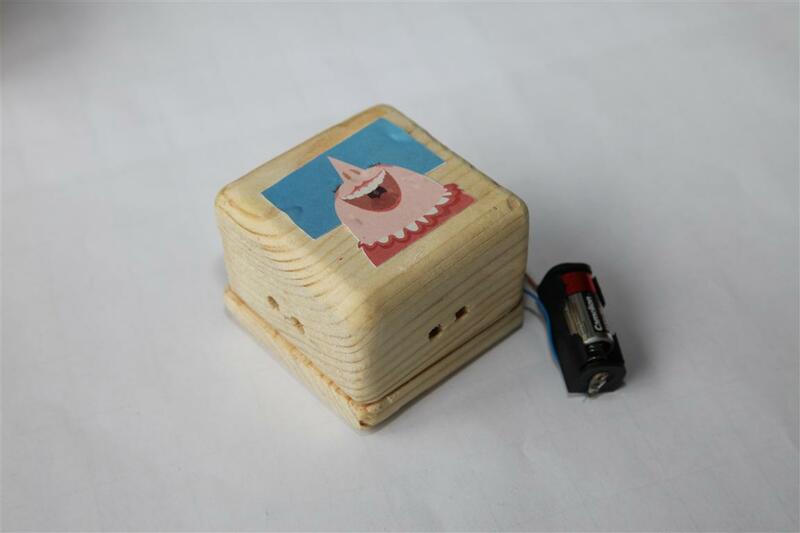 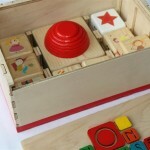 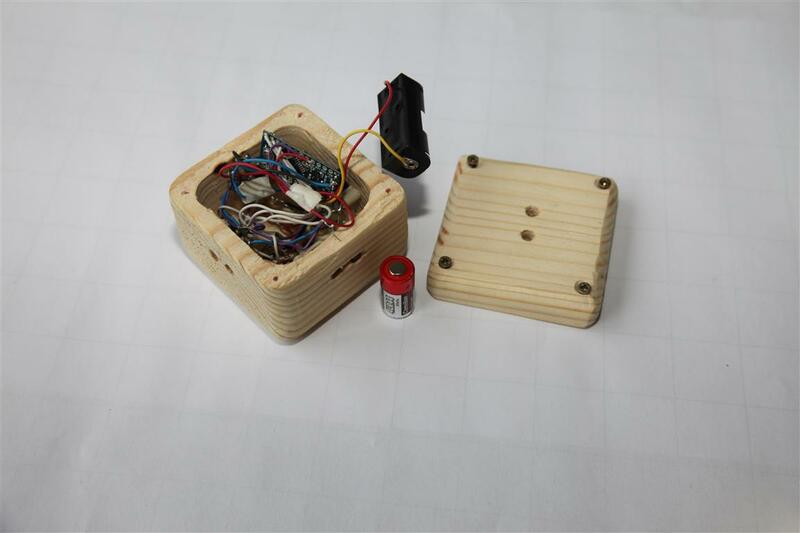 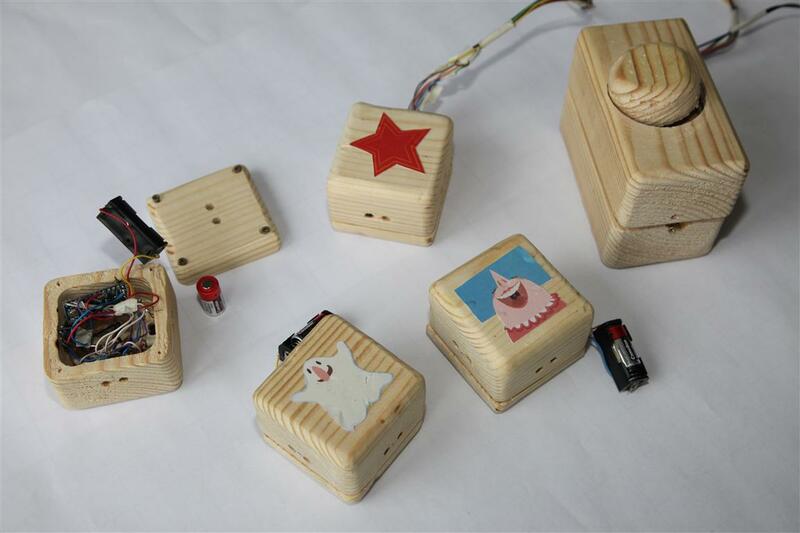 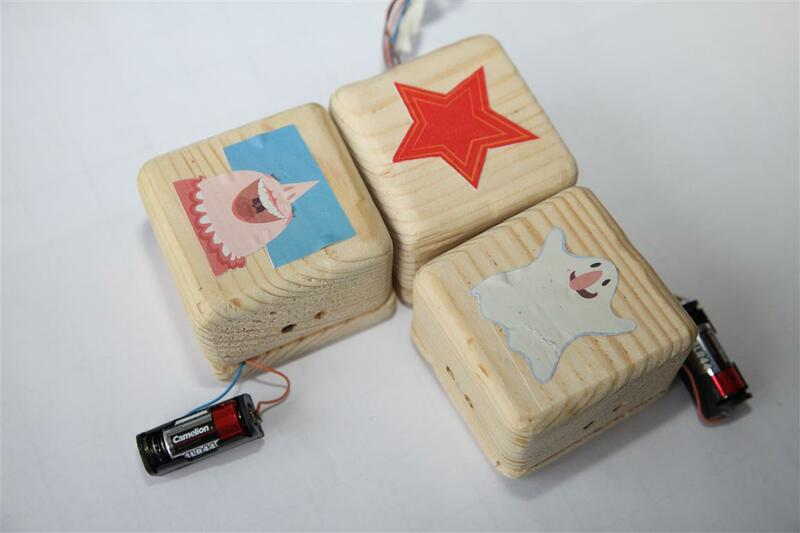 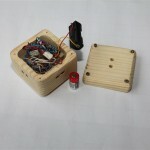 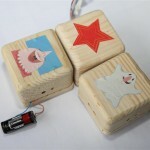 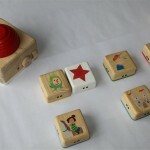 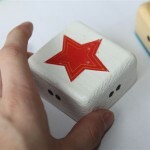 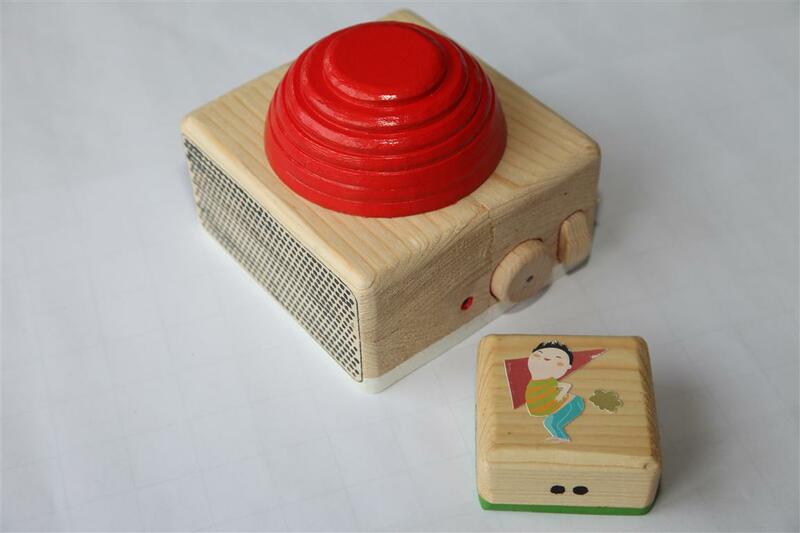 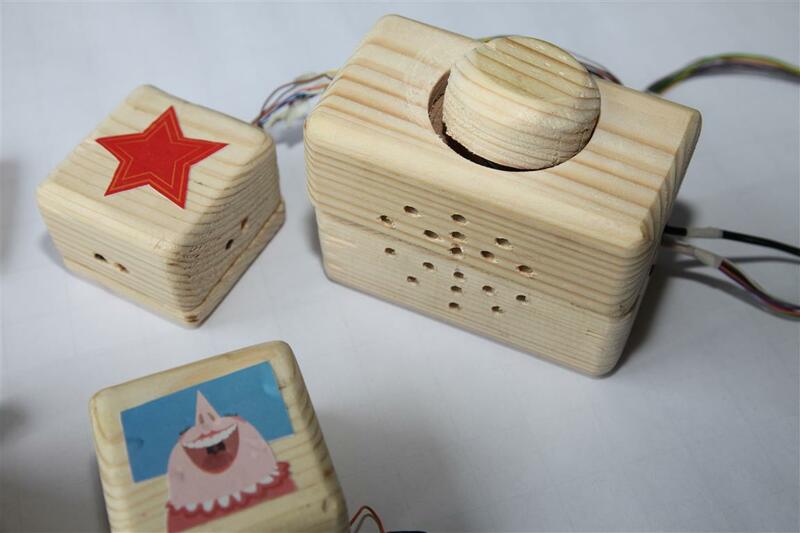 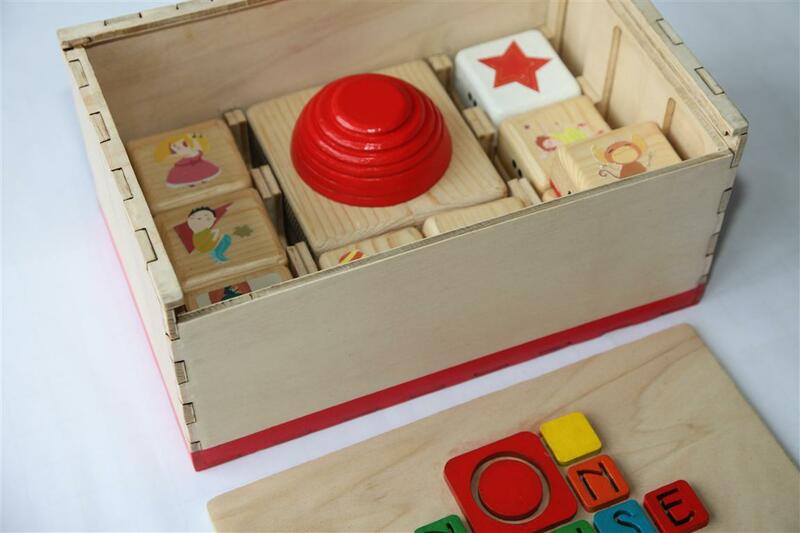 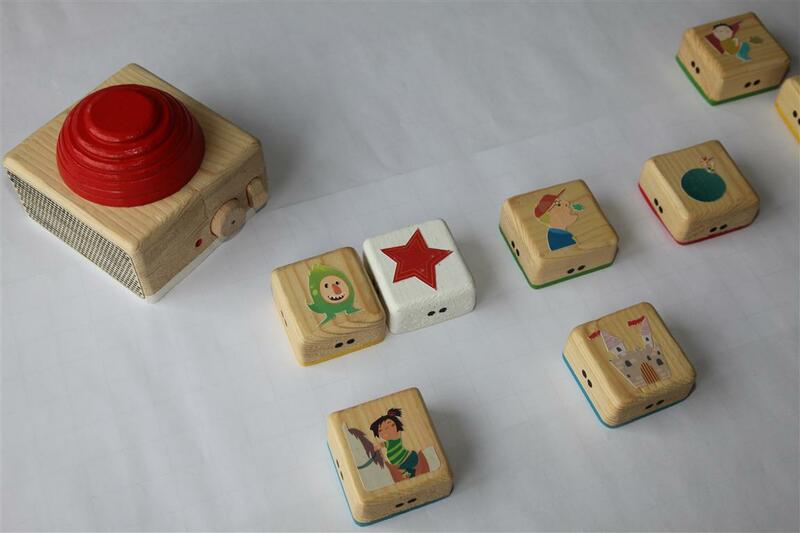 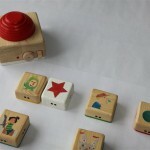 The toy has the following components: hub with a huge red button, 1 start block and 15 music blocks. 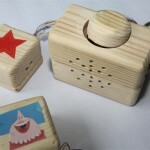 Every block contains four different soundsamples with a word , music and soundeffects. 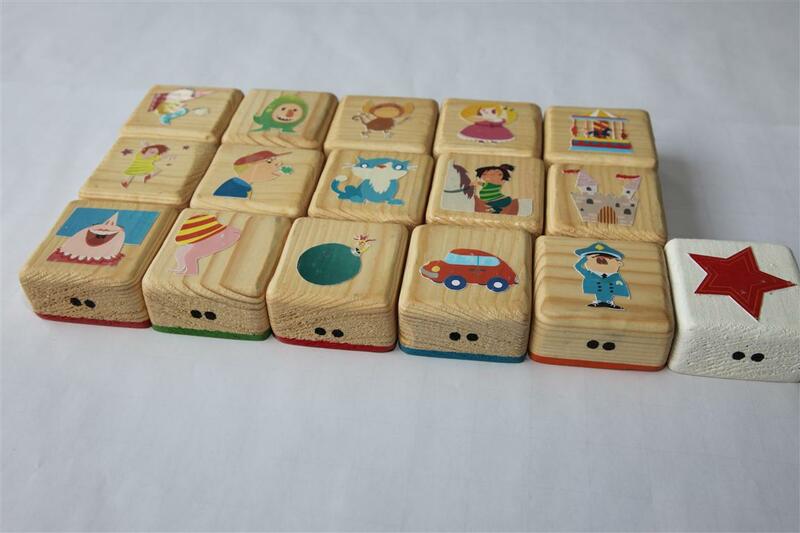 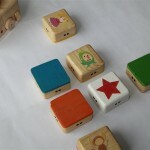 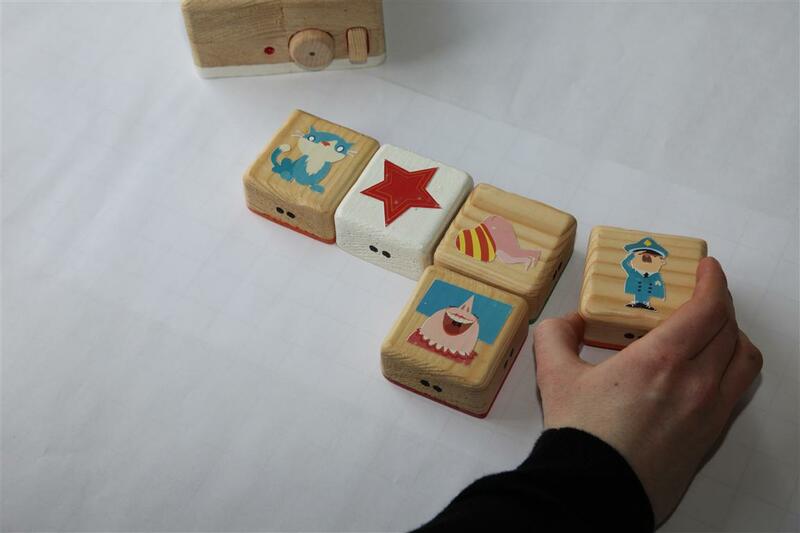 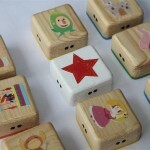 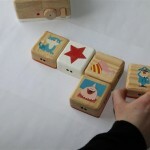 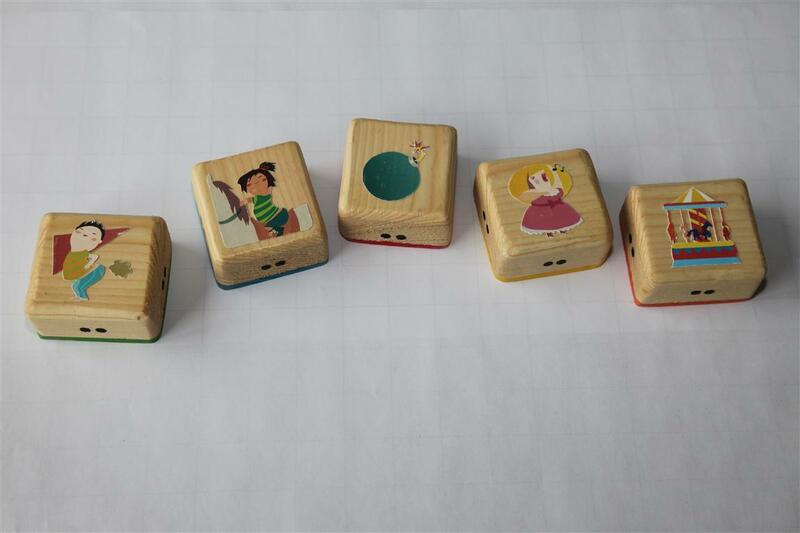 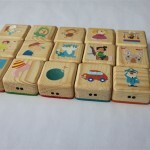 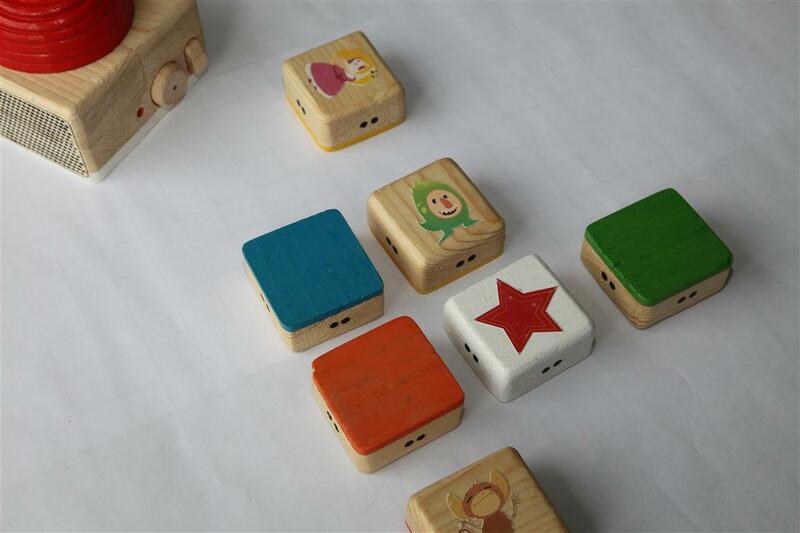 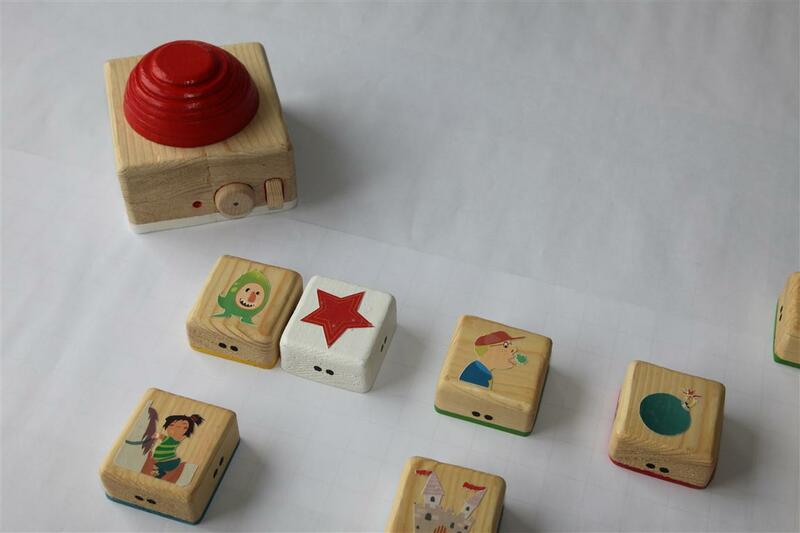 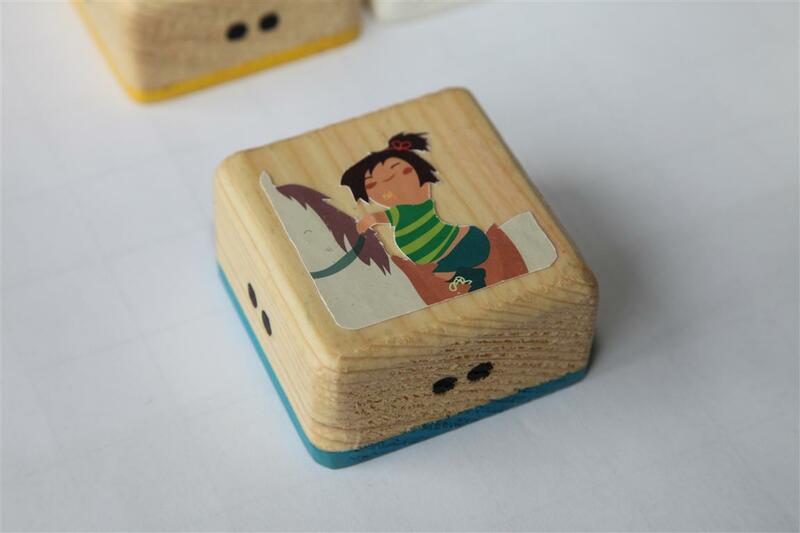 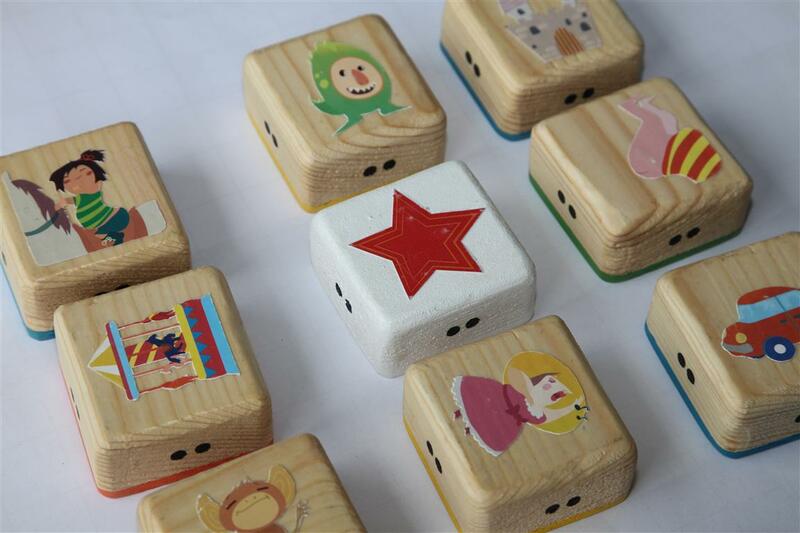 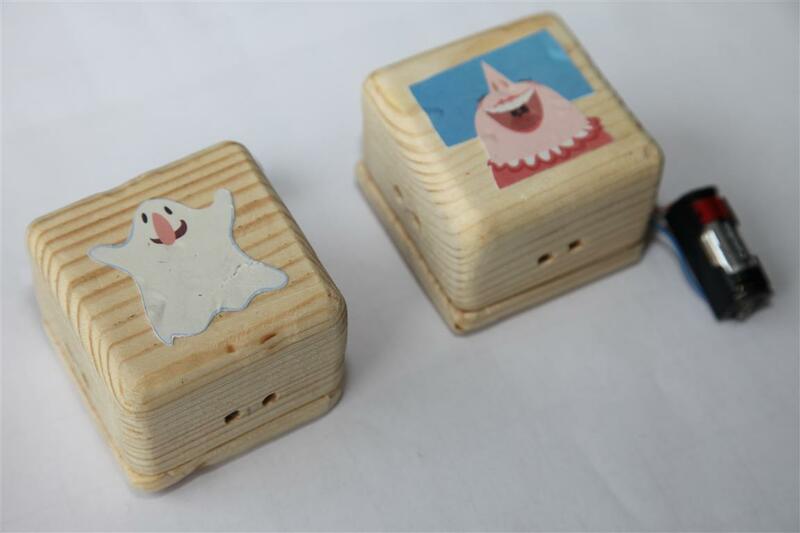 The children can connect this blocks by placing them in a grid, next to each other or far away from each other, and create a sequence of sounds. 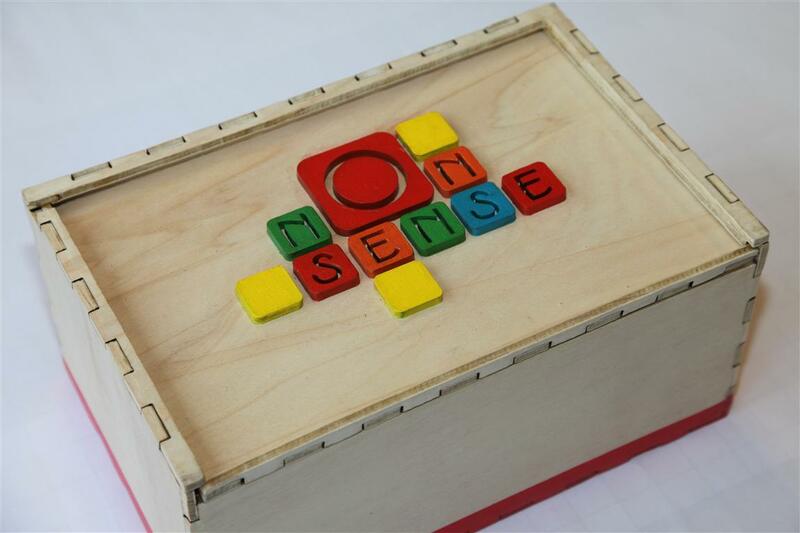 This sequense will be a sentence with different sounds and words resulting in Nonsense. 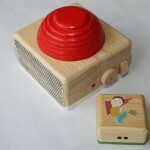 The children can change the volume on the hub and start the sequence by pressing on the big button. 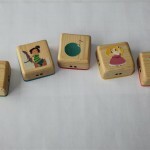 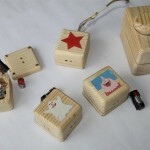 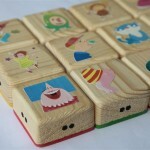 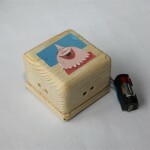 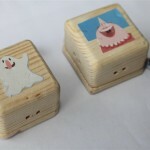 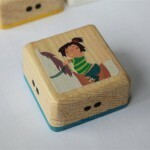 Everyting is made out of wood to create a magical experience, to hide the electronics in a material that children know.